Ladies and gentlemen, boys and girls… big news. This is my pregnancy announcement. Women with T1 diabetes can have healthy babies. Healthy pregnancies. It can happen. 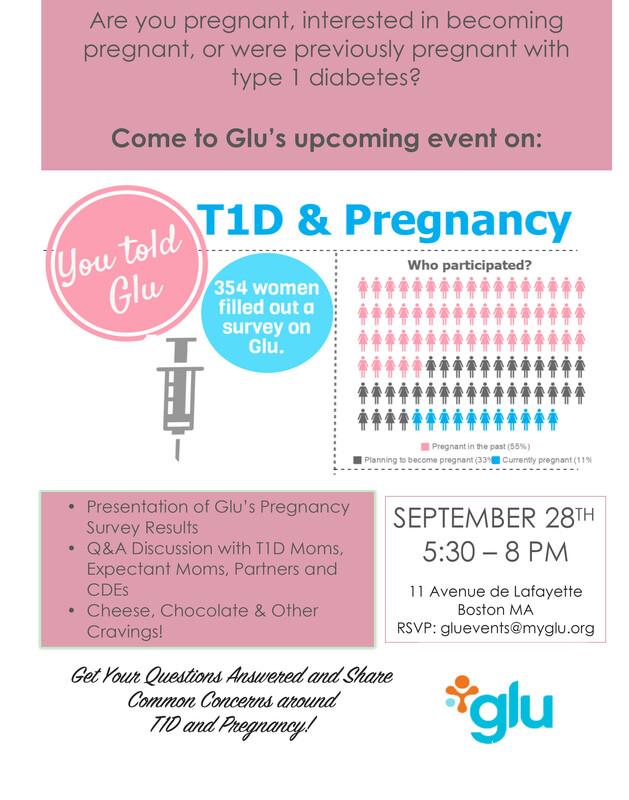 If you are a T1 family (of one or more, seeing as how I feel having a baby as a T1 involves more than just yourself…), join Glu on September 28th from 5:30 – 8:00pm. They will be broadcasting it live through a super cool feature called blab.im. Register at the email above to get the details. I’m proof that T1s can have successful pregnancies and have amazing babies. There is so much bad information out there, so let’s change that. No. I’m not pregnant. Seriously. But let’s not deny that having and raising a baby is ALWAYS a challenge. Doing this with diabetes is MORE challenging, and the challenges and worries do not end once the baby is born. There are, and will continue to be women who will choose NOT to have a baby, to put it bluntly, because of their diabetes. While we rightfully encourage and support those women who DO pursue having children of our own, let us be careful NOT to demean and degrade those who are simply not comfortable taking that chance. Be careful to not let “Yes you can” morph into “Yes you should”. We need to be respectful of those who are most comfortable choosing (and the path is entirely a personal or family choice) the other path. And I beg that you don’t put my brain on the brink of exploding with a blog-post title like that again. Please and Thank You. Sorry for putting your brain on DEFCON. I have friends who have diabetes and chose not to have kids. I have friends with diabetes who are childless not by choice. I have friends who don’t have diabetes who suffer infertility issues; we battled infertility. I am an only child because of diabetes. My mom had such awful gestational diabetes I was a 10 Lbs plus baby delivered vaginally. The doctors advised my mom to never have another baby and four years later she was Dx’d T1D and 17 years after my birth I was Dx’d as a t1d. In a way I as a PWD since before I was born. What I do know is if this was being offered and my mom would have been a 20 something PWD, she would have been first in line. 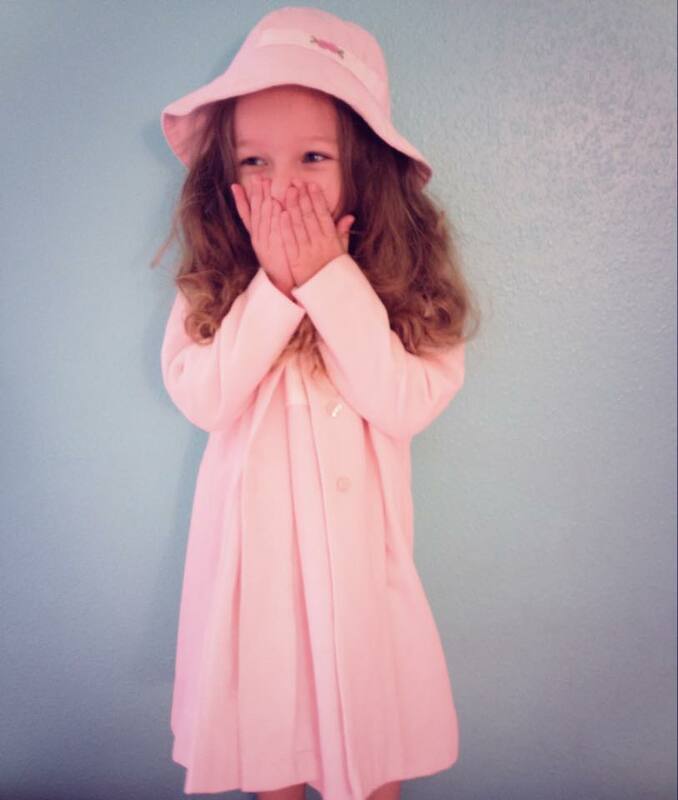 What I came to know growing up is that healthy babies and moms is in everyone’s best interest. Yes, even old farts like myself. I so wish I had a brother or sister, but what I wish more is that this is a great success. Today PWD’;s are no longer told not to have babies, Instead, they are told how they can, and that makes all the difference (thankfully).